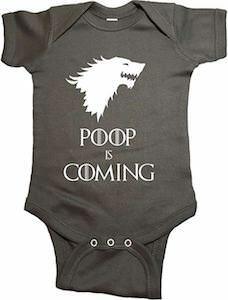 Now there is this Game of Thrones Poop Is Coming Baby Bodysuit that is made for your baby. 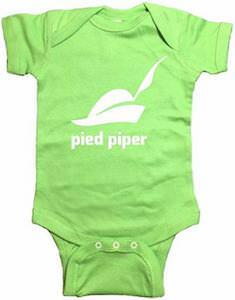 This bodysuit is available in sizes 0 – 24 months and all are made from 100% cotton and in colors black, blue, heather grey, charcoal, and pink. 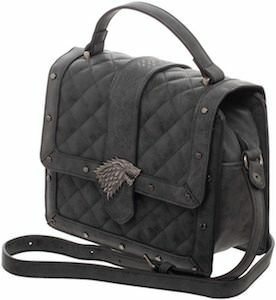 On the snapsuit, you can see the direwolf logo of house Stark and instead of Winter Is Coming this one is saying “Poop Is Coming” and that is a great warning because your baby will surprise you again with a nice full diaper really soon. 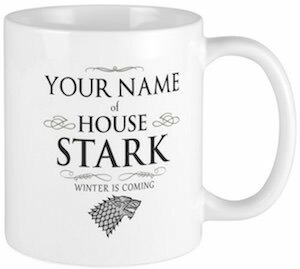 A bodysuit like this also makes a great present to Game of Thrones liking new parents.